I just wanted to share this awesome picture… there isn’t much to add to it! I’m writing this down, riiight here, because i just got bored of searching this in google everytime i need to run an experiment. Not long ago i’ve read Michio Kaku’s book, Science of the Impossible. If you have enough spare time to pick up a new book, i’d like to recommend it. Michio suggests, in his book, that building a Warp Drive might become a reality in the next 100 years. But what are the grounds on that saying?. Proposed by physicist Miguel Alcubierre, the Alcubierre’s Drive is a solution to Einstein’s Relativistic equations. For it to work, we need matter with negative mass… which, as of today, hasn’t been discovered yet. The idea behind the Alcubierre Drive is pretty clever. An object cannot achieve light speed on its own, because it’s mass would grow to infinity. So… as a brilliant alternative, Miguel proposed that we should move the space around us, instead. How is that?. Well… imagine you place a toy-car on a sheet of paper. And instead of moving the car… you move the sheet of paper on which it’s standing. The toy would stand still, but the “space” around it would have moved. If you’d like to go on reading about this, i suggest you click on the Alcubierre’s wikipedia entry!. The universe is expanding. Almost every human being with a rudimentary education knows that. But physicists have been struggling for the last hundred years with a serious problem. We know that everything is moving away…. yes, because of the big bang. 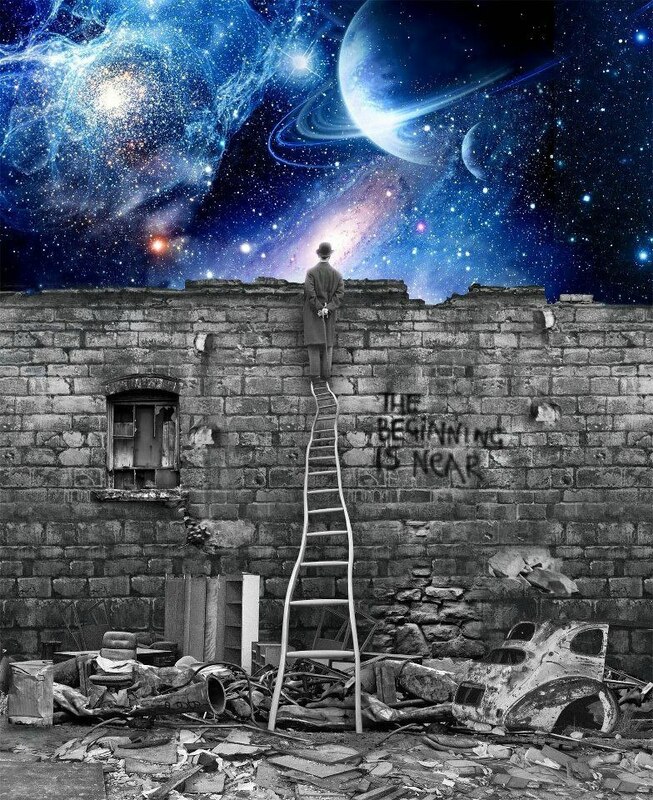 But thing is… the universe is not only expanding. It’s expanding at an accelerated rate. And that, my friends, is one of the greatest mysteries of science. One of the most widely accepted theory that can explain this is… there is dark matter all around us. Why dark?. Because we cannot see it directly. And this dark matter, theoretically, matches THE Alcubierre’s Drive requirement: Dark Matter, if it even exists, needs to have negative mass. Why negative mass?. Well… objects with positive mass attract other objects. That’s known as Gravity. If you wanna repel other objects… you need to twist that around: you need negative mass. We have the theoretical background that makes Faster Than Light… a theoretical possibility. That’s a HUGE difference with the science of the previous century. At this point, at least, we can dream of building an Enterprise ship. Hopefully… our grandchildren will be able to experience our dreams. That is… reaching the stars!. 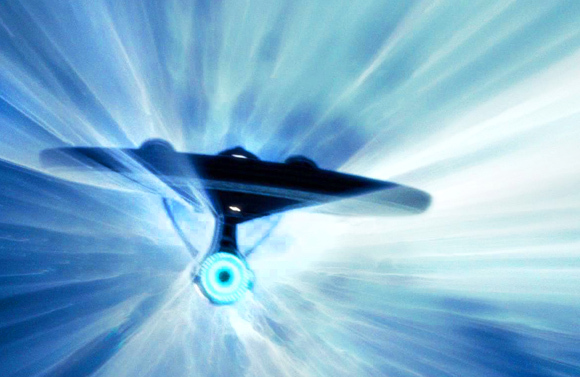 By the way… NASA has its own ‘Status of Warp Drive‘ webpage. I’ve gotta say this. I’m a big fan of J.J.Abrams director. He managed to develop a fresh sci-fy style, which looks really attractive. 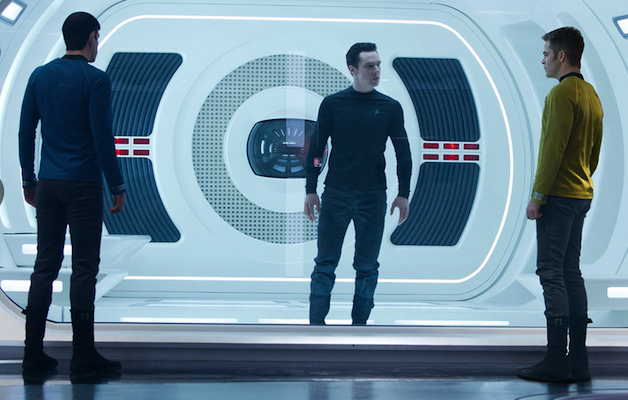 If you compare science fictions movies from the past 10 years, with the latest Star Trek: Into Darkness movie… you’d be impressed. What i like the most of the new movies is the way they’ve recreated the whole Trek technology. I’m not into hi tech visual effects… but the technology that’s shown into the movie could deceit even guys with PhD’s… the transporter looks super real!. Luckily, although the movie is a couple months away, we got to check out the trailer… right now!!. It will be released on May 17th, and even the website is already up!. By the way… J.J.Abrams is the father of Fringe. A sci-fi series that has been around for the past couple of years. If you have enough spare time i suggest you give it a shot. And last but not least… if you’re into SciFy technology, i recommend you read Physics of the Impossible, written by Professor Michio Kaku. In such book, he got to analyze every single Trek technology, and he gives an educated estimate of when the technology could potentially become a reality. For instance… the Warp Drive is estimated to show up in the next 100 years. I don’t expect to live 100 years… but maybe, in my next incarnation, i’ll be able to jump into the Enterprise… why not?? ?.